When I hear cream of “something” soup, I don’t think primarily of bell peppers. Mushrooms, cauliflower, potatoes, pumpkin, or carrots come to my mind. 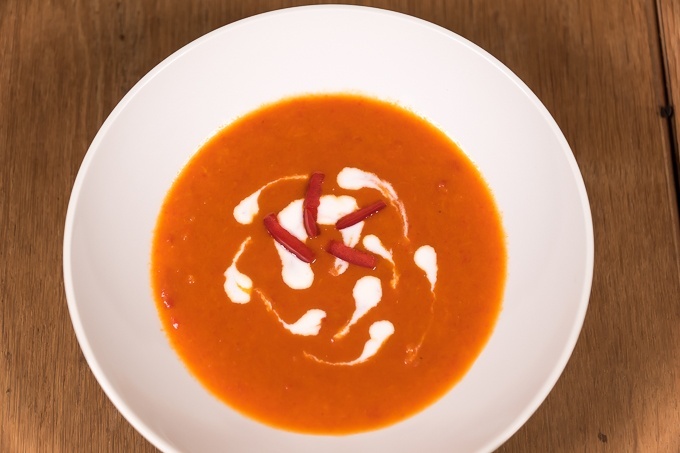 What a shame that peppers are so misunderstood as the main ingredient for a fine, creamy soup! 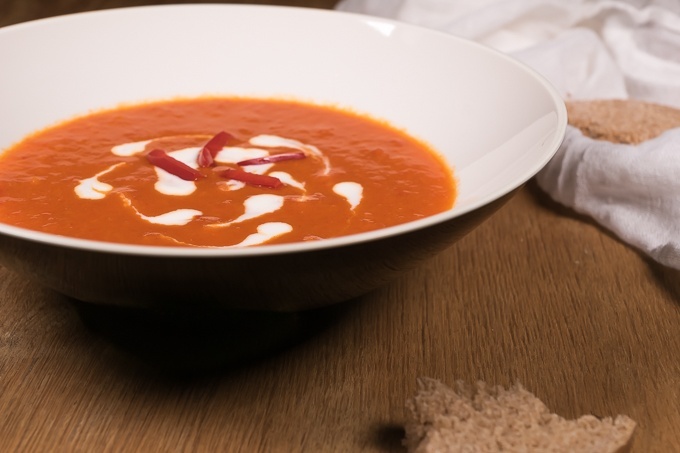 That’s exactly what I thought when I recently conjured up in no time a delicious, deeply red cream of bell pepper soup made of 5 red bell peppers, some tomato passata and ground paprika (both sweet and spicy). Only a couple of minutes working time, few ingredients, and the result is delicious with an exquisite bell pepper taste that harmonizes wonderfully with the light acidity of the tomato sauce and lemon juice. To me, it’s a taste revelation that thanks to its bright, brilliant color, is also eye candy and brings summer to my plate. Wash the bell peppers, remove the stalks and cores. Chop the bell peppers into small pieces. Heat the oil in a pot and fry the onion and bell pepper pieces for a few minutes with the lid on until the onion is translucent and the pepper starts turning soft and fragrant (about 10 minutes). Add sweet and hot paprika powder to the pot and sauté briefly. Add water and tomato passata to the pot. Simmer with the lid on until the bell pepper is completely soft (10-15 minutes). Add lemon juice, salt, pepper, and blend until you get a creamy consistency (I used an immersion blender). Taste test and season with more salt and pepper if necessary. 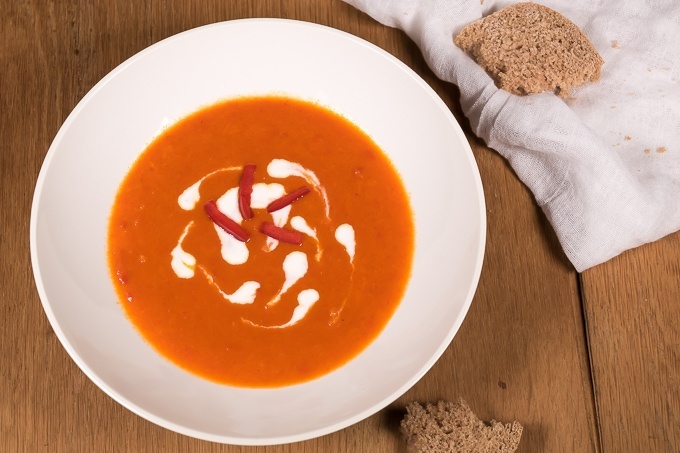 Serve the soup with a dash of yogurt and - if desired - with bread. I decided who I wanted to be, and that is who I am.